Dairy free ice creams were once the preserve of Whole Foods and Waitrose, but now more mainstream supermarkets seem to be getting in on the act. 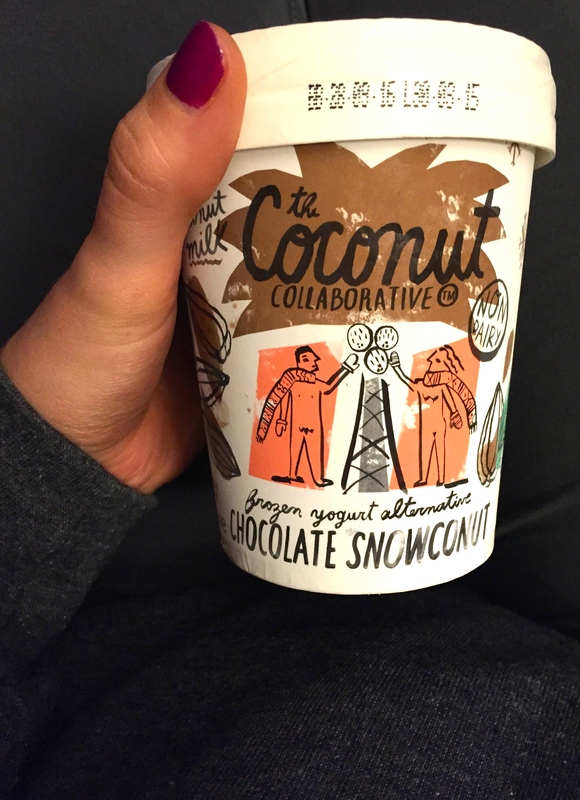 So it was that I stumbled across the Coconut Collaborative in Sainsbury’s. I chose the Chocolate Snowconut flavour to satisfy my ice cream and chocolate craving. As you can see I was eating it in my sweats, ready to relax before another week at work! The texture looked promising – not lumpy or icy like it sometimes can be. The colour was rich and looked like genuine chocolate. I had such high hopes for this ice cream, so much so that it’s totally not an exaggeration to say that they were CRUELLY DASHED as soon as I put a spoonful in my mouth. 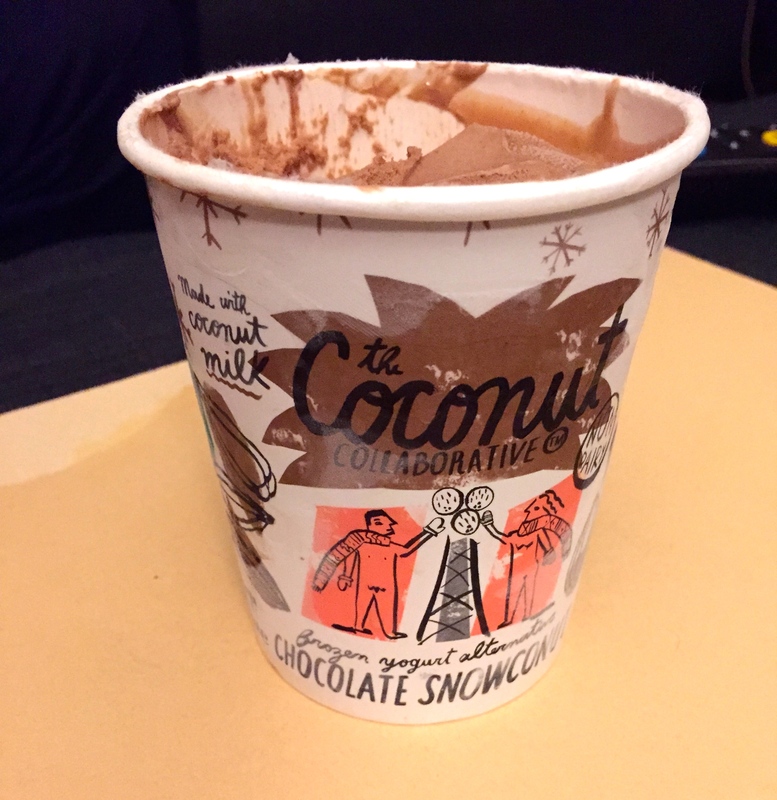 The taste that immediately hit me was coconut – I couldn’t taste chocolate at all. And I don’t mind coconut but I’m not a huge fan – you’ll certainly never catch me with a Bounty in my gob. I *could* have gone on eating it, but only for the sheer mindlessness of the munch and my desire to like it. But the more I ate, the more disappointed I became. What a shame. Needless to say, the rest of the tub ended up in the bin. And to make things worse, the next day I had a growly, bloated belly. The only other things I’d eaten were the usual salads and pasta, which is always fine, so I could only put it down to the ice cream. I remembered glancing at the ingredients the night before and it mentioned lactobacillus something or other. I was suspicious of it at the time because of the ‘lacto’ bit, but assumed it would be fine as the carton said non-dairy. I have no conclusive evidence, but I am pinning it on the ice cream – I’m convinced it upset my tummy. I have since tried to find the list of ingredients online but all I can find is ‘dairy free cultures’. Hmmmmmm. 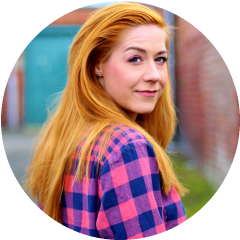 In short – not one I’ll be trying again! 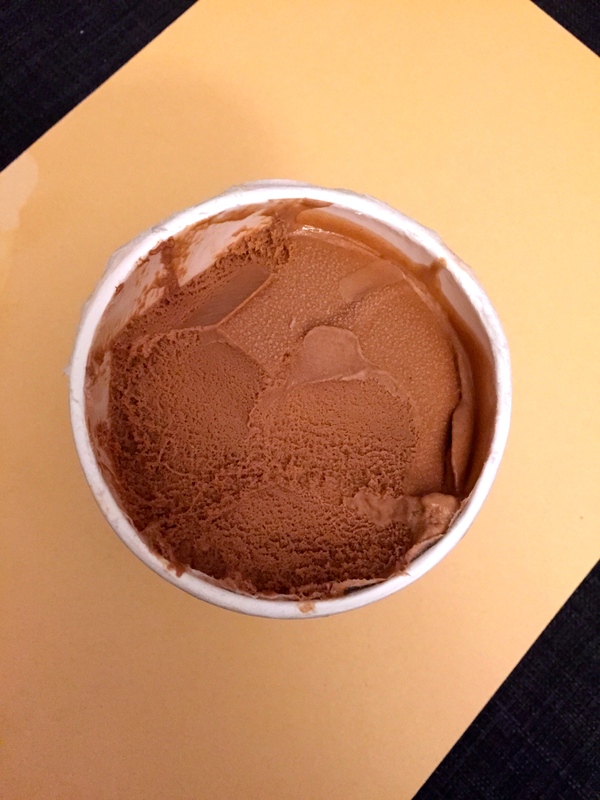 Next on the dairy free ice cream test list – Booja Booja. I’ve had their dairy free truffles and they are to die for, darling. So I have even higher hopes for that one! Shame you can only get it in Waitrose.